Few places are as associated with small, lavish private island resorts as the Maldives, a beautiful scattering of sandy cays in the Indian Ocean. For the biggest and most elite names in hospitality, it’s de rigueur to have a Maldivian isle to call their own – Hilton, W Hotels, COMO and many more all have a showpiece property in this otherwise small and unassuming country. It’s no wonder that celebrities flock to the Maldives – recently, ultra-famous couple David and Victoria Beckham, along with their four children, opted to spend their Christmas break at One & Only Reethi Rah, a premiere resort just north of the capital island of Male. Available for rent through Vladi Private Islands (link), the resort is an exclusive retreat with 130 villas and 12 stunning beaches. However, even a holiday destination with that much star power can have a difficult year, and by all accounts, 2012 was a somewhat slow year for bookings. A new report in Hotel News Now shows that there was a slight – but still meaningful – decline in hotel occupancy year-over-year, and the number of visitors from the UK fell by nearly 14%. 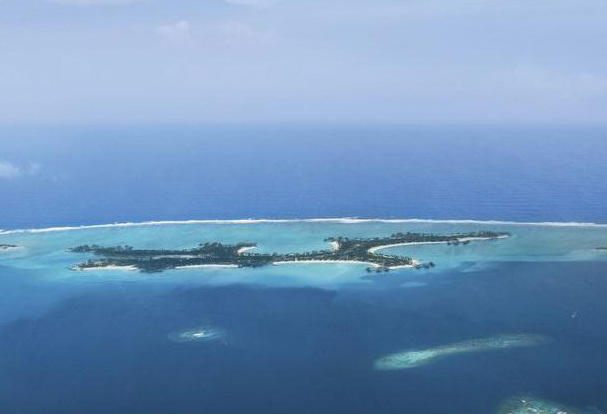 Some of this drop can be attributed to safety concerns after the country went through a period of political instability early in 2012, as Private Island News reported at the time (link). Another likely factor is the economic turmoil ongoing in Europe, where a sizeable number of the Maldives’ tourists are generated from. Natacha Pouzin, a marketing and communications executive for the W Retreat and Spa Maldives, was interviewed for the report. According to her, 2012 brought mixed blessings – while bookings from the UK fell and occupancy was fairly flat, overall revenue was on the rise. “The retreat has held a flat occupancy to 2011, however, we have seen a 10% increase in terms of room revenue,” she said. This stagnation in occupancy together with a surprising upturn in revenue was seen across the board in the Maldives, according to the report, which attributes this phenomenon to resorts still being able to command premium prices and increase their rates. The average daily room rate rose more than 10%, completely offsetting the smaller drop in booking numbers. Shifts in tourist demographics also played a role in buoying resort revenues. While travel from Europe, in particular the UK, was on the decline, this was compensated for with growth markets in the Middle East and Asia. China’s burgeoning middle class and an easing up of its citizens’ travel restrictions has been a boon for the Maldives, the report said. “The Asian customer has really become a major factor in all destinations and the Maldives is one of them,” Scott Booker, president of Hotels.com Worldwide at Expedia, told Hotel News Now. 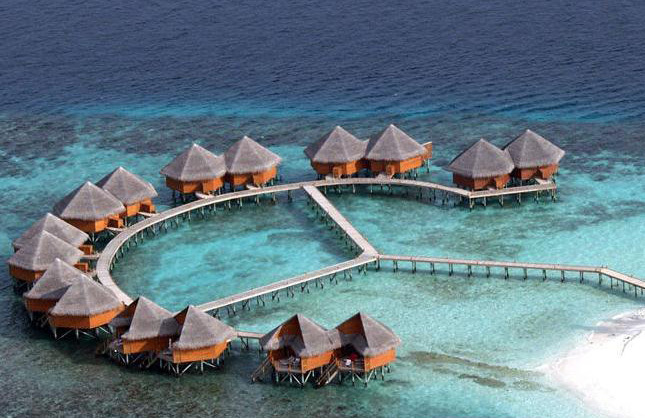 Also causing a buzz are yet-to-open projects like Louis Vuitton Moët Hennessy’s Cheval Blanc Randheli resort, which certainly show investor confidence in the Maldives’ tourism market. 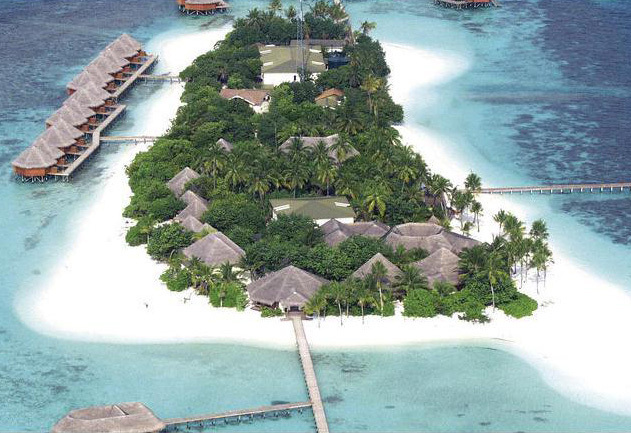 Despite a slower-than-expected 2012, with its Asian growth markets, celebrity guests, and high-profile new resort developments, the Maldives seems to have every reason to look to 2013 with optimism.